Robbins Rehabilitation opened its doors in 2003 using a single room in a chiropractic office. Twin brothers Todd and Travis Robbins weren’t happy with the level of care they saw while working in the Lehigh Valley. They decided to raise the bar and offer patients another option besides the cookie-cutter care in the hospital systems and surgical sites. From humble beginnings the practice grew to multiple sites and now has East and West divisions to cover the entire Lehigh Valley. 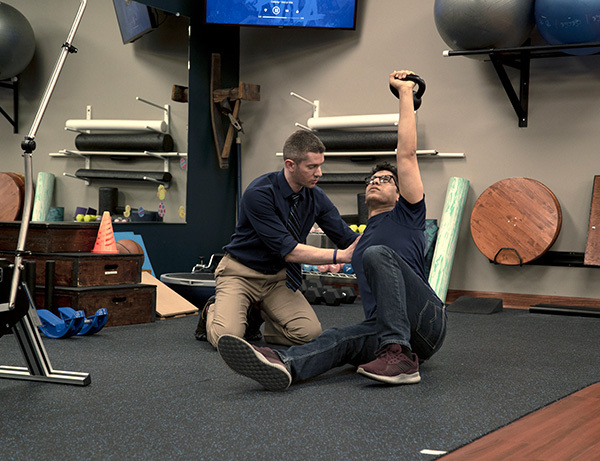 During the last 15 years Robbins Rehabilitation has focused on quality patient care and successful patient outcomes, building a strong reputation and winning several awards. Every day Robbins Rehabilitation strives to improve what they call “The Patient Experience”. The practice has always focused on the patient first. This starts from when you call our office until the time you are successfully discharged and beyond. At every stage of recovery Robbins Rehabilitation is focused on YOU. I got all my questions answered about the pain in my neck that goes down to my hand. Robbins Rehabilitation got me in to see a therapist the same day I called and I felt better after just one visit! Great experience, could hardly walk 2 weeks ago. With Todd's GREAT guidance, I am leaving with no pain. I would absolutely recommend Robbins Rehab. Thanks for everything. My experience here has been a good one. The therapist have done a wonderful job and I leave this place feeling a lot better then when I first came in. I came here because of a balance problem and the improvement is evident. Now I can drive without any fear.